KiwiSaver members – or at least those making active investment choices – poured into growth funds during the year to March 31, the latest Financial Markets Authority (FMA) annual report on the sector reveals. According to the FMA statistics, of the approximately $2.5 billion swapping intra-scheme funds (as opposed to moving to a new scheme) over the 12-month period, more than $900 million headed to growth products. In a net sense, growth funds were up about $246 million following the member investment choices while conservative options fell almost $284 million by the same measure. Appropriately, the balanced fund investment choice figures were evenly-poised with $826 million coming in and $813 million moving out. While the KiwiSaver investment switch numbers suggest a generally upbeat mood among the financially-confident member base, single-sector cash funds also saw a net gain of almost $70 million as about $220 million gushed in and $150 million flowed elsewhere. All up, KiwiSaver schemes reported roughly 180,000 investment switches over the year – albeit on behalf of only 138,000 or so members (about 5 per cent of total membership): almost 11,000 members changed funds more than once during the period including 457 who swapped investments at least five times. Coincidentally, the KiwiSaver scheme transfer data over the 12 months to March 31 almost exactly matched the investment switch trends: the FMA report records about 189,000 scheme transfers totaling $2.5 billion for the year (figures that include more than 28,600 who made an ‘active choice’ to remain in a default fund). As the August Investment News NZ 11th KiwiSaver annual report reveals, smaller providers were the big winners in the transfer market during the year. The exhaustive survey of all 29 KiwiSaver schemes in operation during the year found Auckland-based boutique Generate came out ahead with a net gain of $173 million from member transfers followed by BNZ ($157 million) and Simplicity ($145 million). Along with Milford and Kiwi Wealth, all five of the transfer winners could be classed as challenger brands – despite the fact two of them are banks. The Investment News NZ (IN NZ) study found the five biggest providers – ANZ, ASB, Westpac, AMP and Fisher Funds – as a group saw their market share of members and funds under management (FUM) slip slightly during the year. Across the KiwiSaver universe average member fees were up just over 19 per cent, the FMA figures show, about in line with FUM growth over the 12-month period. 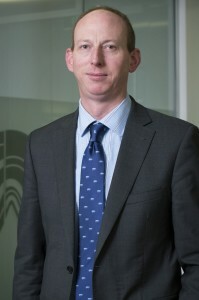 Liam Mason, FMA director of regulation, said the FMA would carry out further work on fees in the year ahead including an international comparison. Next year the government will also include a broad fee investigation as part of a scheduled review of the default provider system. The IN NZ analysis found the KiwiSaver regime collected gross fees of $450 million (or $430 million excluding some underlying manager fees absorbed in performance), equating to just over 1 per cent of total FUM – about the same year-on-year. A complete set of the IN NZ data in Excel spreadsheet form, covering member and funds under management trends; fees and expenses; investment returns; scheme transfers and other metrics, is available for a still not-unreasonable fee of $300 plus GST ($345 including GST).